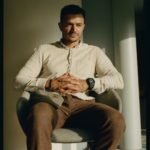 Raymond Antrobus is a Hackney born British Jamaican poet, educator, editor and curator of Chill Pill. His pamphlet, To Sweeten Bitter (2017) is published by Out-Spoken Press and his forth-coming debut, The Perseverance (2018) is being published by Penned In The Margins in October. He is a Complete Works III fellow and one of the world’s first recipients of an MA in Spoken Word education (Goldsmith’s University). He is also one of three current recipients of the Jerwood Compton Poetry fellowship.